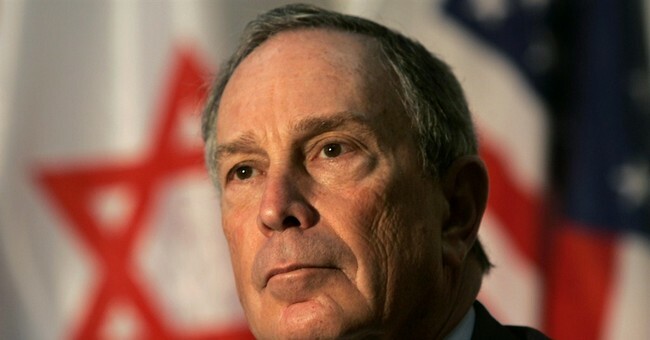 Earlier this week we learned of NYC Mayor Michael Bloomberg's $1.1 million anti-gun advertisement buy for Democratic Gubernatorial Candidate Terry McAuiliffe. Bloomberg funneled the money into Virginia through his PAC, USA Independence and advertisements have been running on radio and television since Tuesday. One television ad in particular targets the "gun show loophole" and states in a voiceover, “The gun show loophole. It means anyone can buy a gun without a background check.” The ad shows photos of mass murders Seung-Hui Cho (Virginia Tech), Adam Lanza (Sandy Hook), Aaron Alexis (Navy Yard) and James Holmes (Aurora Colorado theater) while implying these killers purchased their guns through this so-called "loophole." Seung-Hui Cho bought both his Glock 19 9mm pistol and Walther P22 through a licensed federal firearms licensee and passed the FBI NICS background check system without a problem before going on his rampage in 2007. Adam Lanza committed the murder of his own mother to steal the weapons he used in Newtown. Nancy Lanza had passed all her background checks. Navy Yard shooter Aaron Alexis pass both the FBI NICS background check and the additional Virginia background check system implemented after after Cho’s rampage at Virginia Tech. Aurora Colorado theater shooting suspect James Holmes likewise passed the FBI NICS background checks system. In addition, it's important to point out that despite Bloomberg's attempt to portray Ken Cuccinelli's relationship with the NRA as a bad thing, it was the NRA, not Michael Bloomberg, that helped get new mental health legislation passed after the Virginia Tech shooting. After 52 years in Congress, John Dingell knows it sometimes takes a "rather curious alliance," such as between the National Rifle Association and the House's most fervent gun control advocate, to move legislation. That's what took place Wednesday when the House, by voice vote, passed a gun control bill that Rep. Dingell, D-Mich., helped broker between the NRA and Rep. Carolyn McCarthy, D-N.Y.
With the NRA on board, the bill, which fixes flaws in the national gun background check system that allowed the Virginia Tech shooter to buy guns despite his mental health problems, has a good chance of becoming the first major gun control law in more than a decade. "As the Virginia Tech shooting reminded us, there is an urgent national need to improve the background check system" to keep guns out of the hands of those barred from buying them, House Speaker Nancy Pelosi said. The measure would require states to automate their lists of convicted criminals and the mentally ill who are prohibited under a 1968 law from buying firearms, and report those lists to the FBI's National Instant Criminal Background Check System, or NICS.